Trending Top Solo Travel Deal Polish Riviera: This is a great solo travel destination at prices well below Western Europe even at 4-star quality. Gdansk is the heart of the Polish Riviera but an easy connection to historic Krakow and Warsaw. In winter, there is skiing in the mountains as well so check it out year-round. Trending Top Solo Travel Deal Polish Riviera: Where is it exactly? Gdansk is on the Gulf of Gdansk in the northernmost part of Poland’s coast. It is in the area known as Pomeranian Voivodeship. It is far to the east just a few miles from the Russian border. Poland’s location has made it a crossroads for marauding armies from the Middle Ages with the arrival of the Mongol Tartars and later the Swedes, Cossacks and Ottoman Turks. Trending Top Solo Travel Deal Polish Riviera: What is there to do? There’s lots of history to see. It dates back to the 8th century BC. The first known Polish leader was in the 10th century AD. By the end of the 1500’s, the capital was moved from Warsaw to Krakow and unlike much of Europe at the time, all faiths lived in harmony. Start your tour with the Old Town. Stroll the Long Market to the fabled Neptune Fountain. Explore the Gothic city hall, now a museum. and the 18th century House of Uphagen, the Coal Square and St. Mary’s Church. Visit the Oliwa Cathedral and the Fallen Shipyard Workers Monument. Take a day trip cruise through the Gulf of Gdansk or a longer sail through the Baltic Sea to southern Sweden. Trending Top Solo Travel Deal Polish Riviera: Where can I stay? 4-star Focus Hotel Premium Gdansk is the answer. Located in the Wrzeszcz neighborhood in Gdańsk, this pet-friendly hotel is only 1.2 miles from City Stadium Gdańsk, Focus Hotel Premium Gdańsk features a restaurant, bar and free WiFi throughout the property. The hotel has a sauna and fitness center, and guests can enjoy a meal at the on-site restaurant. The rooms come with a flat-screen TV. Certain units have a sitting area for your convenience and a kettle to make your own coffee or tea in the room. All guest rooms have a private bath with a hairdryer and free toiletries. The nearest airport is Gdansk Lech Walesa Airport, 6 miles from the Focus Hotel Premium Gdańsk. 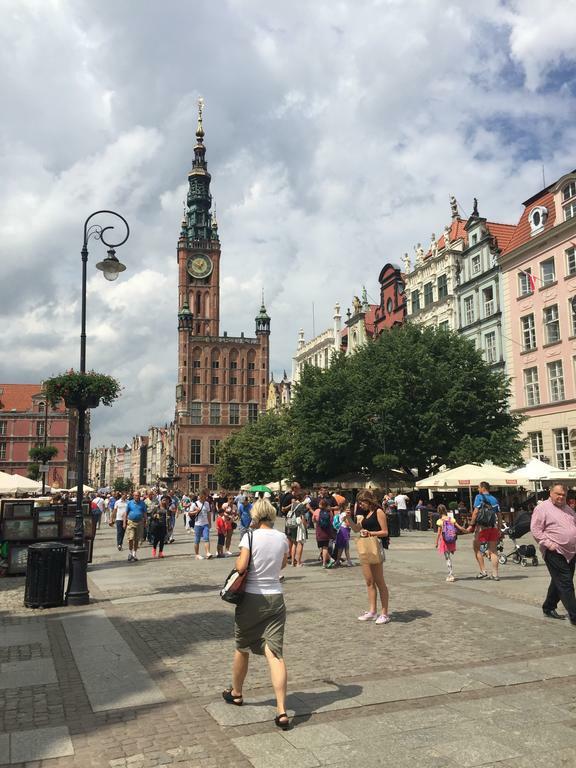 Wrzeszcz is a great choice for travelers interested in beaches, shoppingand monuments. Solo travelers in particular like the location. For more travel ideas, see our Travel Packages that are updated at least weekly. Home page also features 6 top solo travel deals with eye-catching prices at special destinations.